Electronic Arts says it needs to sell at least five million copies of Dead Space 3 to keep the franchise viable. 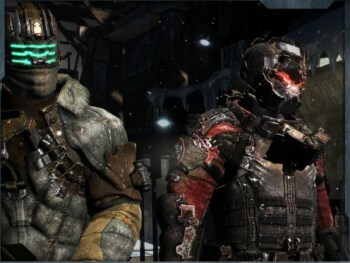 Dead Space 3 is coming, in early 2013 to be not-exactly-precise about it, and EA has some pretty high hopes for the game. While the original Dead Space was pretty much a straight-up survival horror experience, Dead Space 2 was a little more "shootery," as a well-armed Isaac Clarke, in spite of the occasional, brief psychotic episode, transitioned into a fairly conventional videogame tough guy. Dead Space 3 will continue to "open up the accessibility" of the game, according to EA Labels President Frank Gibeau, who told CVG that it will remain a horror game but attempt to broaden its audience through the addition of new elements like co-op gameplay. "In general we're thinking about how we make this a more broadly appealing franchise, because ultimately you need to get to audience sizes of around five million to really continue to invest in an IP like Dead Space," he said. "Anything less than that and it becomes quite difficult financially given how expensive it is to make games and market them." Now, take a moment to digest that. Dead Space 3 - and all EA franchises, apparently, but specifically Dead Space 3 - needs to sell at least five million copies, presumably at full retail and not out of the $10 bargain bin a year down the road, to remain viable. That's problematic for a couple of reasons: First, Dead Space 2 managed "only" about two million unit sales in its first three months of release, which is to say the span of time during which the vast majority of its sales would be made; and second, because needing to move five million units to keep a series worthwhile is nuts. I could be wrong, I suppose, and I certainly don't mean to suggest that EA won't actually pull the plug on any franchise it views as under-performing regardless of what the numbers are. But five million units, particularly for a middle-tier property like Dead Space, as a bottom-line number for survival? Maybe Gibeau is just swinging for the fences, but that's crazy.